As you all might know several of Dave's genealogy students have expressed an interest in basic computer skills. Because of the demand, I am hosting basic computer skills sessions in my home. I can handle 3 people at a time and plan to do several informal 2 hour sessions. My first session is filled already and is scheduled for Mon, 3/15! Thanks Ken, Edna and Diane. 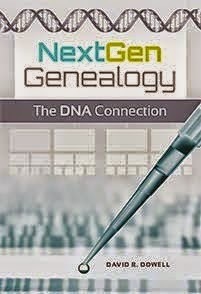 This is exciting and I am looking forward to helping Dave's fellow genealogists in basic computer skills.